Management - Rite Geosystems is a global instrumentation and monitoring solution provider, offering turnkey solutions in geotechnical, structural, environmental monitoring and geodetic surveying. A unit of the renowned Encardio-rite Group, Rite Geosystems leads the group’s operations across the world in USA, Europe, and Asia. 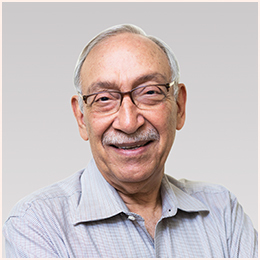 With an Engineering degree from IIT Kharagpur and two post-graduate degrees in Mechanical Engineering with a specialisation in Instrumentation from Massachusetts Institute of Technology, Amod Gujral founded Encardio-rite in 1966. Under his vision and guidance the Group has evolved as a world leader in safety monitoring. Over the years, Encardio-rite has become an established brand for its specialized services with high quality products and innovative online solutions. With its products being used in more than 55 countries worldwide, the Group is globally present in 8 countries supported by over 450 trained, qualified and experienced professionals. Amod Gujral won the prestigious IMM Award for Marketing Man of the year from the President of India in 1977. Since then, both the Group and he have won numerous prestigious awards. He has also contributed by writing several technical articles for different forums and journals. An avid traveller, he has been around the world, visiting about 55 countries, some more than once. He has been invited to numerous international conferences for sharing his technical knowledge and expertise. Amod Gujral has always been the guiding light and driving force behind the Group, mentoring them to provide excellent services while focusing on adapting to the challenging technological advancements. His philosophy has always been to satisfy customers and keep employees happy. 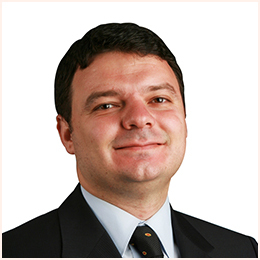 Dr. Melih Demirkan is passionate about instrumentation and monitoring. As a geotechnical engineer, he understands the key features of successful safety monitoring implementation. Melih brings his 20 years of professional experience of a variety of geotechnical, seismic, hydrogeological and geo­-environmental engineering projects to Rite Geosystems. He has designed and implemented multiple instrumentation projects prior to joining Rite Geosystems. During the course of his work, he has taken up key technical and management roles for various projects including site characterization for new and existing nuclear power plants, engineering analysis for dam and water resources structures and risk assessment for unstable subsurface conditions. He has also performed advanced engineering analyses such as 3D geotechnical and hydrogeological analyses as well as GIS based regional 3D lithological model development and geohazard related risk evaluation. As a result of his efforts multiple guidance documents have been put together in the past for minimizing the risk related to local geohazard conditions. Melih has conducted numerous site response surveys, settlement, bearing capacity and liquefaction analyses and foundation design for various projects. He has also co­authored more than twenty peer­-reviewed publications. Melih is a registered Professional Engineer. Amit Gujral is versatile with significant financial and operational management experience in geotechnical instrumentation. He has an experience of over 30 years in the field. In January 2008, he set up Encardio-rite Geosystems L.L.C. in the UAE. Under his guidance as the Managing Director of ERGS L.L.C., the Geotechnical Instrumentation & Services Company is progressing successfully towards securing numerous prestigious projects in the UAE. Amit Gujral has widely travelled to more than 40 countries around the world and has attended around 20 international conferences and workshops in the field of tunneling, hydroelectric projects, metros, landslide monitoring and deep foundations. Arushi Bhalla handles international business for the Encardio-rite Group. 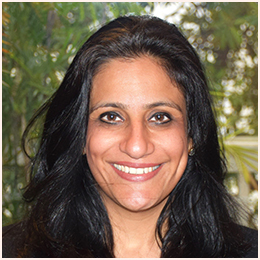 She did her BBA in 1995, from Delhi University, India and went on to pursue her further studies in International Marketing at the London School of Economics. She joined the Encardio-rite Group in 2008. Prior to joining Encardio-rite she founded Livvel Products Pvt. Ltd. An avid traveller, Arushi Bhalla has travelled to about 45 countries around the world. She has attended more than 15 international conferences in the field of tunneling, hydroelectric projects, metros, landslide monitoring and deep foundations during the last four years. Not only managing the business, Arushi Bhalla has expertise in execution also. She has been involved in many domestic and overseas projects like – the Doha Metro, Dubai Metro, Expo Link 2020, Deep Tunnel Sewer project contracts T01, T02, T03 (UAE), Al Salam Street Tunnel Project (UAE), Athens Metro (Greece), Hong Kong Metro, Delhi Metro Phase 2 & 3, Mumbai Metro, Chennai Metro, Bangalore Metro, Kolkata Metro, NFR tunnel, Konkan Railways, Pir Panjal Rail tunnel etc. Deb Biswas joined Encardio-rite in 1988 as the R&D head. He has been actively involved for the past 30 years in the development of Encardio-rite’s vast range of sensors and monitoring solutions. Deb’s in-depth knowledge of sensors, data logging systems, telemetry and web data monitoring systems has helped the Encardio-rite Group develop and update their technologies and solutions in keeping with the changing requirements in the construction and water monitoring sectors. 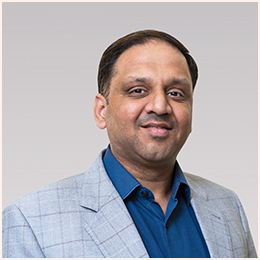 Manish Mehta joined Encardio-rite in 1992. 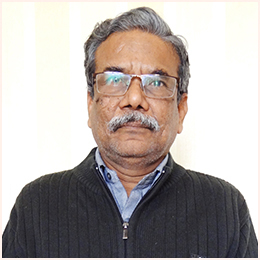 As the Marketing head of West and South India, he has won numerous project contracts. With his efforts, the Group has won the safety monitoring contracts of almost all the hydroelectric projects in India like Tehri, Purulia, Ghatgar Dam etc and metro projects like Bengaluru Metro, Mumbai Metro, Chennai Metro etc. He is also known for winning the contracts of projects like Middle Marsyandgi HEP in Nepal, Upper Kotmale HEP in Sri Lanka, the Koprubasi Dam in Turkey, Doha Metro’s Gold Line in Qatar and many others. Be it the domestic or the international market, his analytical skills and marketing strategies have won the Group multiple projects. Today as the Vice President (Marketing), he is committed to achieving new milestones. 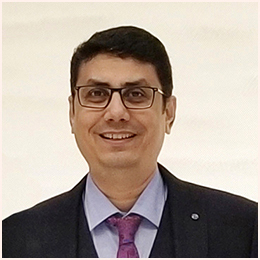 Prateek Mehrotra, with 18 years of experience in Geotechnical instrumentation & monitoring, heads the Technical Services division at Encardio-rite. He is also responsible for the operations of Rite Geosystems W.L.L., the company’s subsidiary in Doha, Qatar. He did his MSc. in Engineering from Moscow Power Engineering Institute (Technical University), Moscow, Russia in 1997. 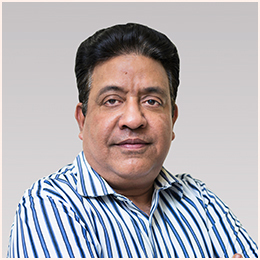 He then joined the company in 2000 and played a key role in establishing the company as the market leader in the turnkey execution of instrumentation & monitoring of Metro projects and other urban underground constructions. He moved to UAE in 2006 and led the execution of the instrumentation and monitoring program of Dubai Metro’s Red Line & Green Line underground projects and then to Qatar in 2014 where under his guidance the Doha Metro’s instrumentation and monitoring work was executed successfully for the Gold Line, Major stations, Green line and Red Line. He has also been responsible for putting together a team of young engineers who continued to manage operations in the Middle East. Apart from his knowledge in instrumentation and monitoring, Prateek also has a flair for technical writing and deployment of emerging technologies in real-world projects. Nikolas Papageorgiou, with over 15 years of experience in exports and international business development, is spearheading the expansion of Encardio-rite in Europe, North Africa and the Caucasus region. 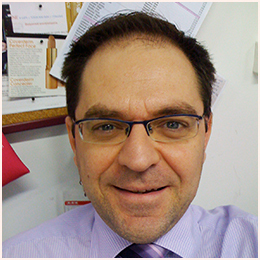 Nikolas has a degree in Geology from the University of Athens (Greece) and an MBA degree from the University of Strathclyde (Glasgow, UK). Early in his career he worked in the construction and mining sector, as a field geologist, while later he coordinated with various organizations, providing solutions to their worldwide expansion, including setting up overseas subsidiaries, establishing distribution networks and building brand awareness in new markets. His product experience ranges from minerals, specialty building materials, chemicals and pharmaceuticals, to software and hardware for the automotive and defense industry as well as instrumentation for geotechnical monitoring.